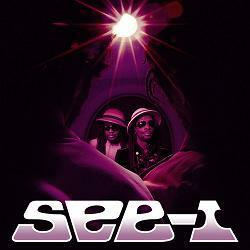 Fort Knox Recordings presents the debut album from See-I entitled “See-I.” Long time collaborators Arthur “Rootz” Steele and Archie “Zeebo” Steele bring their band’s unique brand of Reggae – injected with heavy doses of Funk, Soul, Dub and Rock – to Fort Knox. We are proud and excited to release their first full length album. The story begins with two brothers, Rootz and Zeebo, who found their way from college in North Carolina via the Caribbean only to end up in Washington, DC. It was in the cultural melting pot of the Nation’s capital that they developed their creative and musical talents. In the heady days of the late 1980s, the brothers Steele would launch the project that has defined their lives: See-I. They quickly became a fixture of DC’s burgeoning Reggae scene crossing paths with Reggae aficionado Eric Hilton who was determined to include them in his future projects. Hilton was opening the Eighteenth Street Lounge and associated record label, and brought Rootz and Zeebo on board. Throughout the 90’s and into the coming millennium they would go on to record, perform and tour with Thievery Corporation. Then in 2006, Zeebo and Rootz started a regular Wednesday night gig at the Eighteenth Street Lounge that would see them coalescing one of the greatest live bands the city has ever seen. Slowly gathering momentum, guest musicians and members – from the Thievery Live band and the Chuck Brown band amongst others – the See-I live band would grow into a nationwide touring phenomenon, and are now considered one of America’s premier Reggae party bands. debut is an epic showcase of the energy, sound and talent of this exciting group. This is Reggae music for music lovers, so sit back and enjoy the ride!